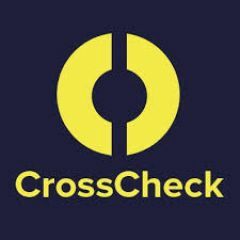 CrossCheck is a collaborative journalism project that brings together newsrooms across France and beyond to accurately report false, misleading and confusing claims that circulate online. Learn more at https://crosscheck.firstdraftnews.com/. Does Al-Qaeda “support” Emmanuel Macron? No. Do 44% of Muslim high school students believe it is acceptable to take up arms for their religion? No. According to the Fdesouche website, «in certain high schools, 44% of Muslim students believe it is acceptable to “take up arms for one’s religion”». This figure was taken out of context. Does this video show a foreigner assaulting French hospital employees? No. A video shared 113,000 times on a Facebook page shows a man assaulting two hospital employees, but it did not happen in France. Is this picture of refugees from March 17 at the Franco-Italian border? No. A photograph showing a large crowd of refugees supposedly walking towards France has been shared over 2,000 times. Did Marine Le Pen Tweet About the Masha and The Bear Cartoon? No. A screenshot of a fake tweet by Marine Le Pen, in which the National Front (FN) candidate criticizes the Masha and The Bear cartoon (Masha Et Michka in French), was posted on Twitter on Sunday, February 26. Does this map show recent violence across France? No. An infographic purporting to map “clashes between the rabble and our police” has gone viral on Facebook and Twitter over the past fortnight. It was, however, created in November 2005 and does not reflect the current reality of social tensions in France. Was Macron’s campaign for the French presidency financed by Saudi Arabia? No.